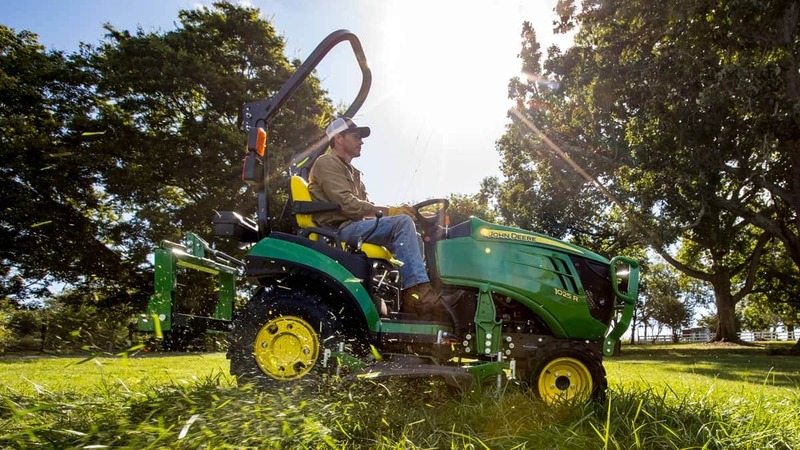 We know you spend a lot of time caring for your property, which is why you deserve a better tractor with features designed to make any task a lot easier and less time-consuming. Let Bud Herbert Motors help you turn your compact utility tractor into a versatile workhorse. The 3025E steps up its game with standard four-wheel drive and the tightest turning radius in its class. The 73hp 5075E has best-in-class visibility and a comfortable, intuitive operator station.